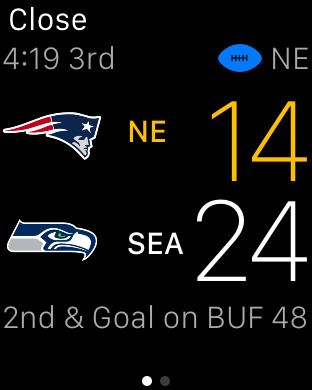 What's the score? 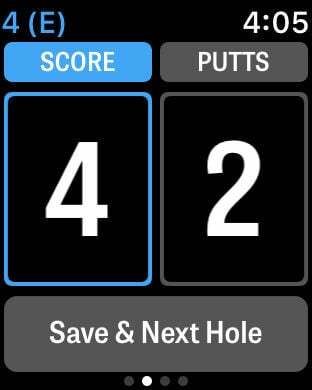 Ace that question like a pro every time with these apps, and never miss a pitch or punt or power play again. 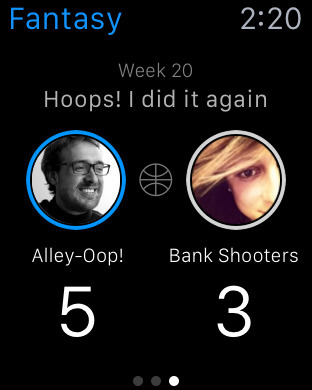 With Apple Watch, keeping tabs on your favorite sports teams is a slam dunk. 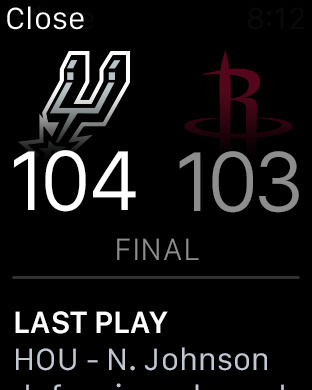 Just be careful with all those high-fives, and remember: Apple Care doesn't cover hooligan damage. 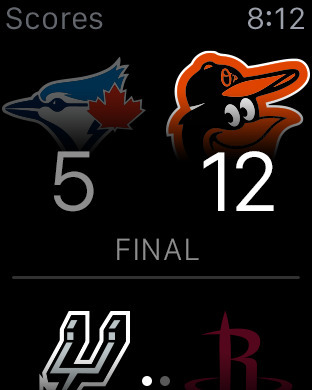 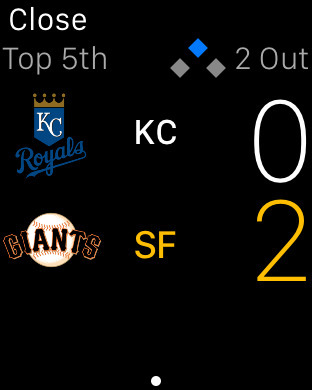 MLB.com has an app ready which includes a Glance to see the current baseball scores. 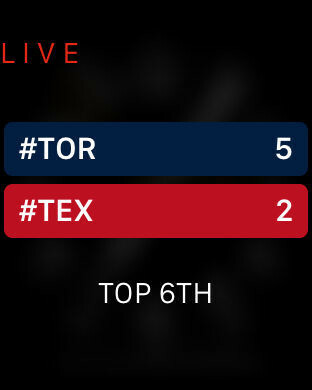 It also provides in-game information such as who is currently pitching and who's at the plate. 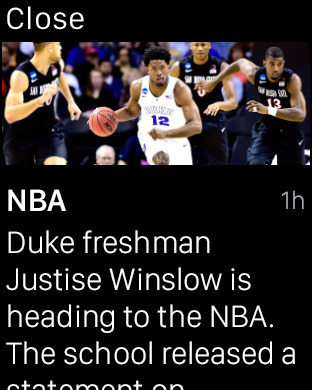 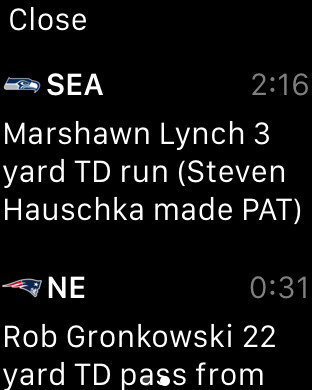 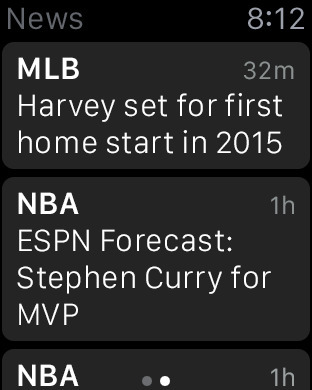 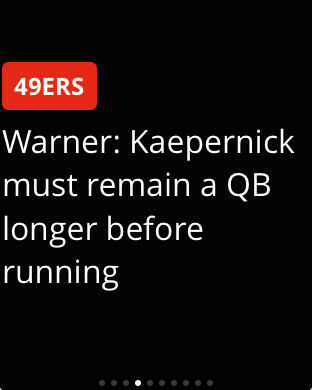 Get scoring notifications, breaking news, and read articles with the ESPN app for your Apple Watch. 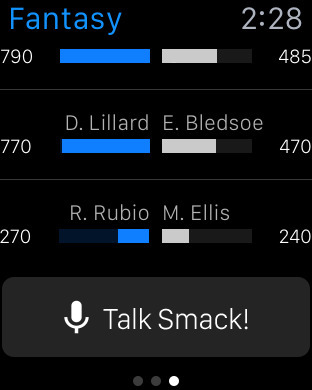 You can now get all of the up-to-the-minute sports details you need no matter where you are with just a glance. 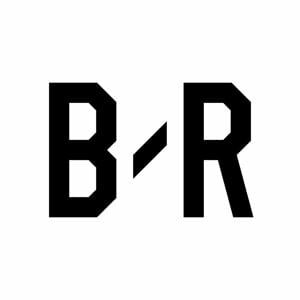 Get all your team's news and scores from across the web in one easy place with personalized streams that sends alerts as soon as stories break. 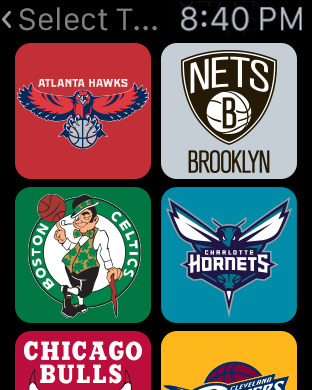 Be the first to know all your team's news! 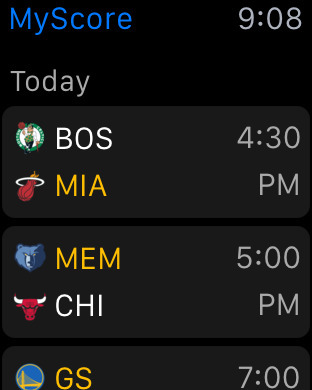 Instantly access news and scores for all of your favorite sports and teams in one place. 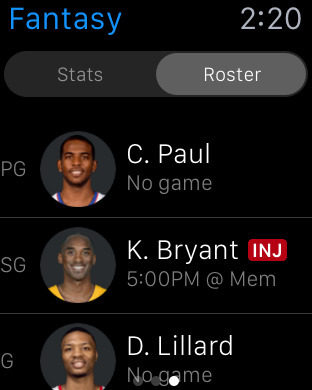 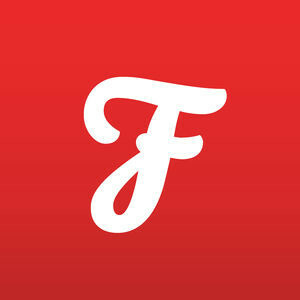 Yahoo Fantasy is the app to have for all of your fantasy sport needs. 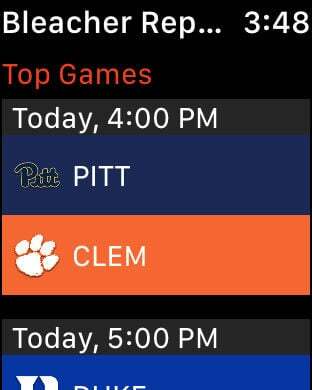 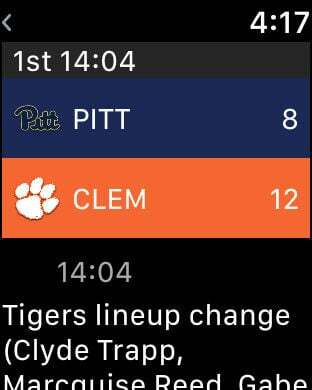 Baseball, football, tourney pick’em, and more are available and notifications keep you updated at all times. 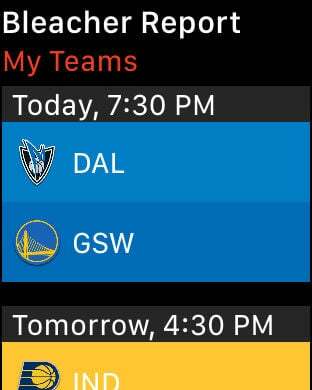 NBA Game Time is the award-winning, official app of the NBA that allows you to keep up with your favorite teams and must-see games any time, any place. 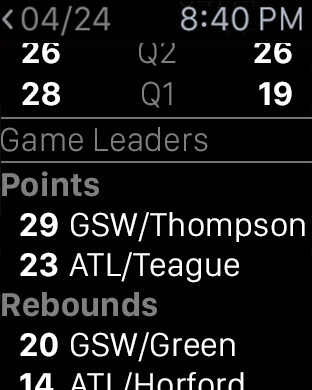 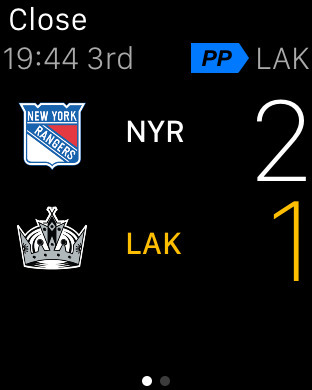 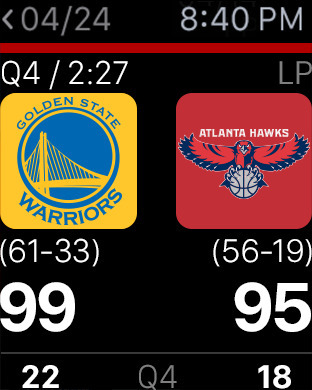 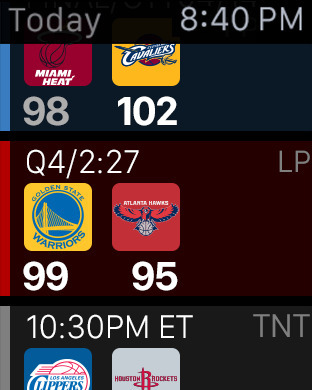 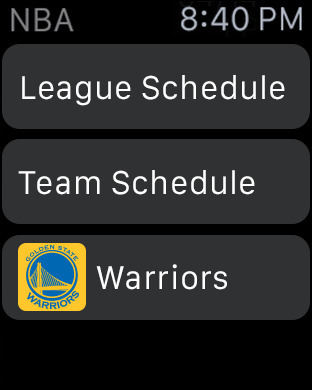 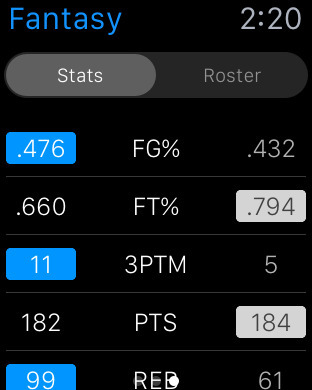 theScore on Apple Watch delivers all the scores, stats and breaking news on the leagues, teams and players you follow in real-time, right to your wrist! 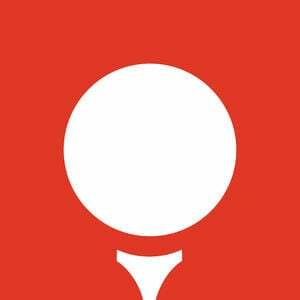 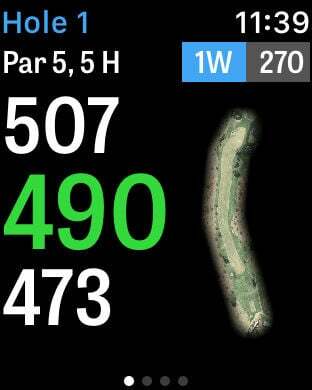 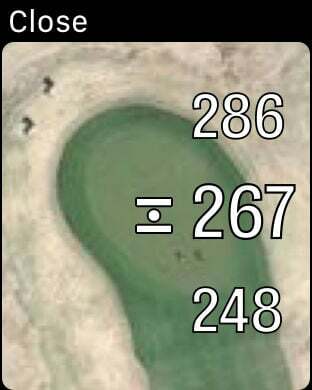 Golfshot offers free, real-time GPS distances to the green on 500,000+ golf holes and 40,000+ golf courses worldwide on your iPhone or Apple Watch. 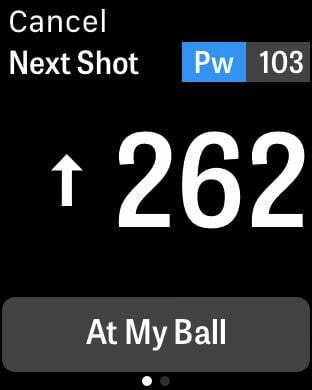 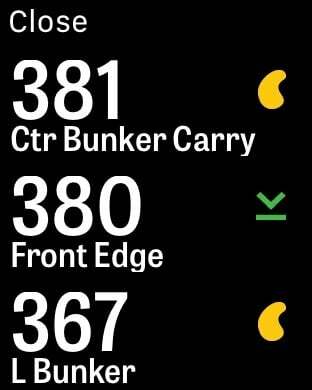 Pro features for Apple Watch includr shot tracking, club recommendations, scoring, and real-time GPS distances to all targets/hazards.